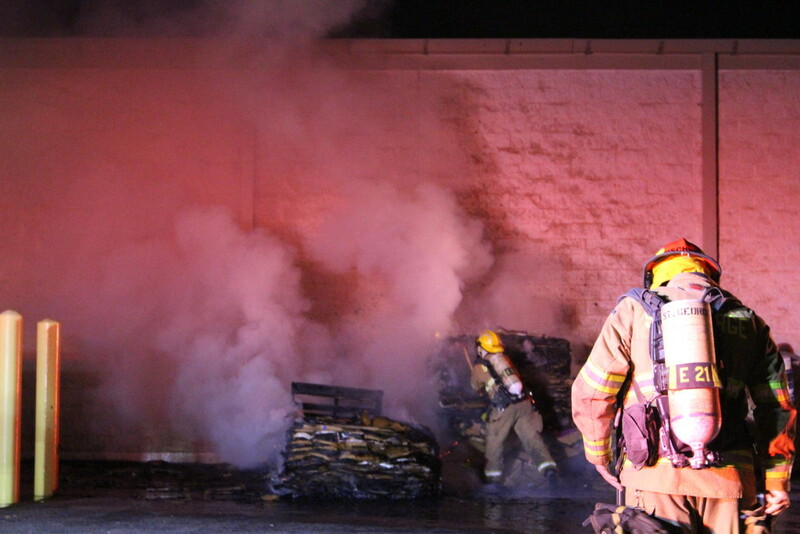 ST GEORGE — Fire crews worked for over an hour and a half Friday night to extinguish flames consuming six large bales of compressed cardboard stored behind Kmart, 745 S. Bluff, in St. George. 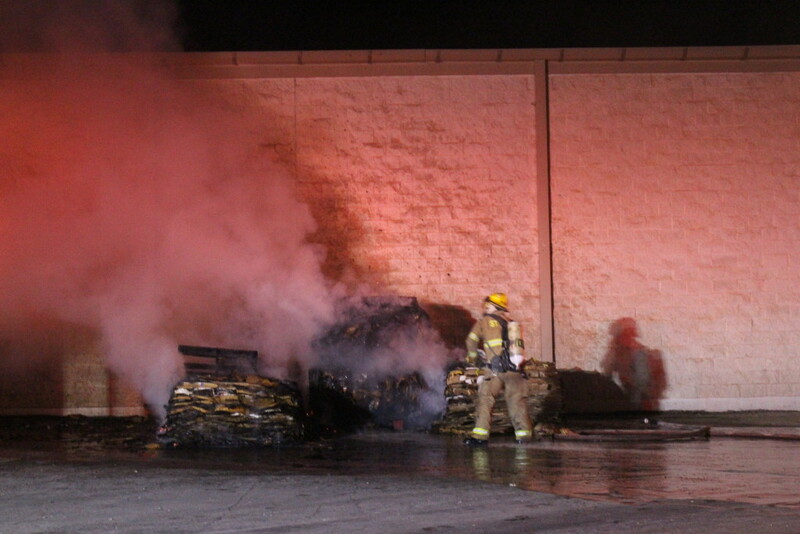 The fire, which was reported just after 9:30 p.m., has also prompted a police investigation. 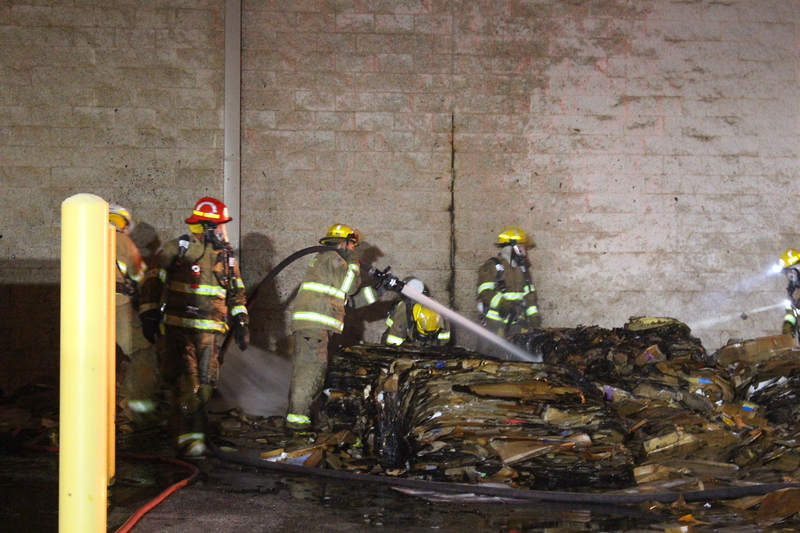 Firefighters brought the blaze under control fairly quickly, however it continued to smolder under numerous layers of cardboard that was bound and baled for recycling, said Stoker. In order to get to those areas still burning the heavy metal bands binding each bale must be cut, each bale broken down, and then all materials must be soaked with water to prevent them from rekindling, Stoker said. 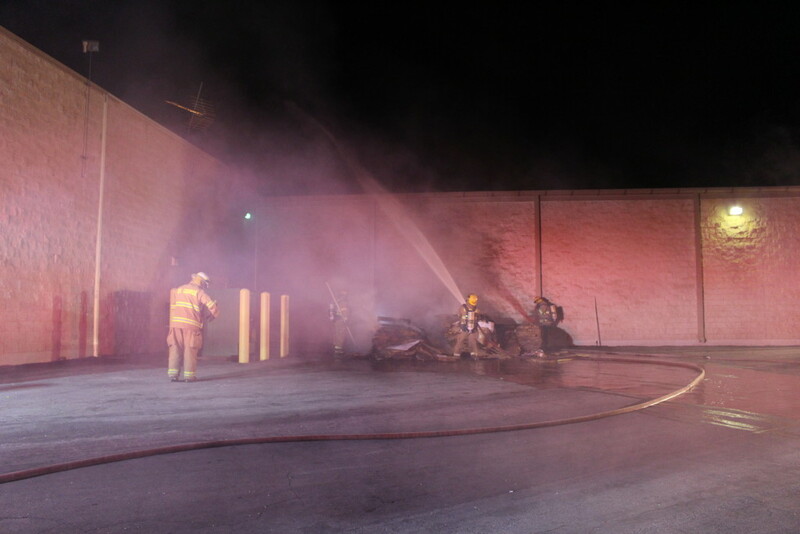 As soon as fire crews arrived on scene, the cinder block walls on the outside of the store were hit with water to contain the blaze to the cardboard bales. 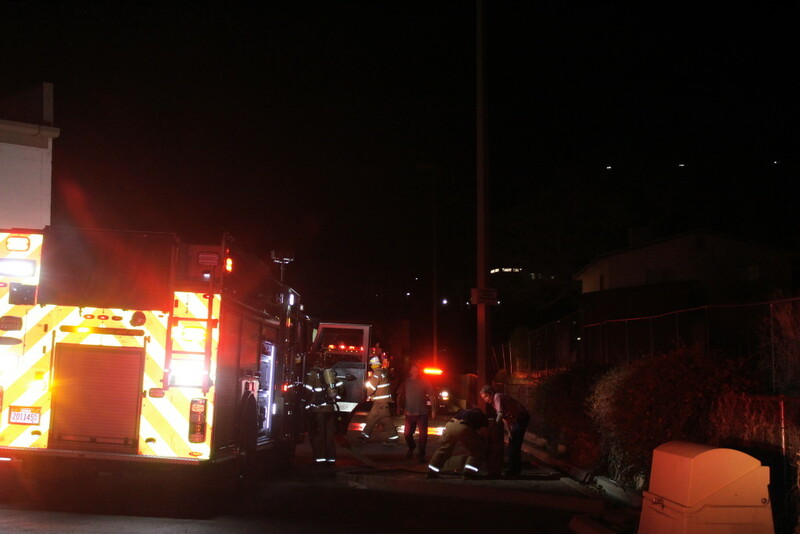 The St. George Police Department was contacted due to the suspicious circumstances surrounding the fire and its location, Stoker said, adding the area is dark and not easily accessible. St. George police responded and were interviewing the store manager, Stoker said. 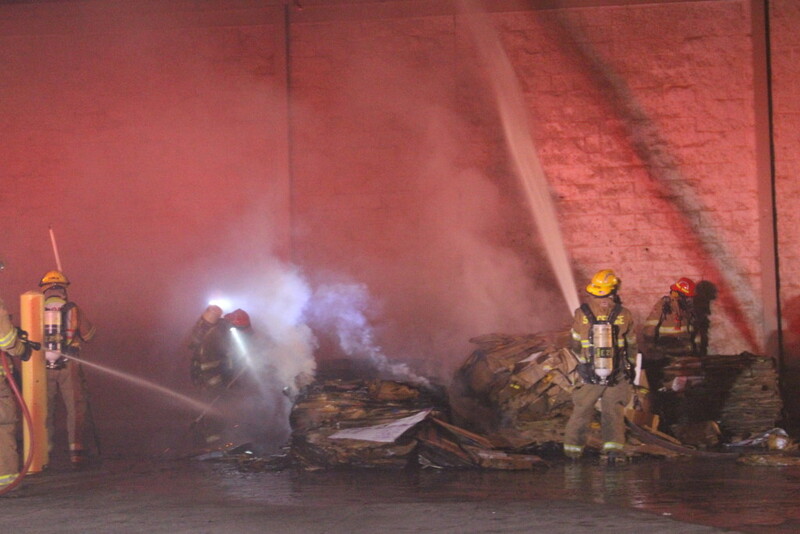 No injuries were reported and damage was contained to the cardboard bales. 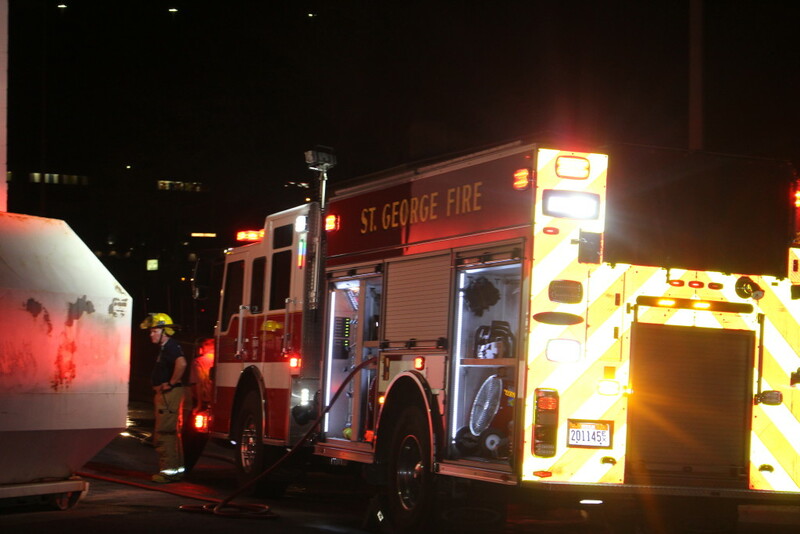 The St. George Fire Department and the St. George Police Department responded to the scene. I see homeless people around there all the time. Maybe they know what happened?